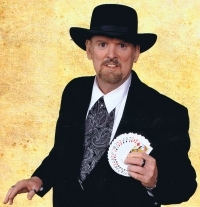 Strolling/Stage Magicians, Marty Westerman is an all around comedy magician and entertainer who performs either his close-up sleight-of-hand strolling magic or a comedy magic show for all types of events; Corporate Events, Grand Openings, Trade Shows, Conventions, Restaurant Promotions, Country Clubs, Cities-Small Town Festivals, Private Parties, Holidays Celebrations, Festivals, Fairs, Kids-Children Birthday Parties, Adult Parties, School Shows, Lock-ins, Proms, Graduations, Library Shows, Blue & Gold, Bar Mitzvah’s, Bat Mitzvah’s, Weddings, Reception, Rehearsal Dinners, Anniversaries, Showers, Social Gatherings, Theme Parties, Church Events and much more. Texas, Cedar Hill, TX, Coppell, TX, Dallas, TX, Denton, TX, Highland Village, TX, Addison, TX, Allen, TX, Arlington, TX, Bedford, TX, Canton, TX, Carrollton, TX, Colleyville, TX, Corinth, TX, Dallas, TX, Dennison, TX, Desoto, TX, DFW, Duncanville, TX, Euless, TX, Farmers Branch, TX, Farmersville, TX, Flower Mound, TX, Fort Worth, TX, Frisco, TX, Garland, TX, Glen Heights, TX, Grand Prairie, TX, Grapevine, TX, Greenville, TX, Heath, TX, Highland Park, TX, Hurst, TX, Irving, TX, Kaufman, TX, Keller, TX, Lake Dallas, TX, Lancaster, TX, Las Colinas, TX, Lewisville, TX, Little Elm, TX, Mansfield, TX, McKinney, TX, Mesquite, TX, Murphy, TX, North Richland Hills, TX, Paris, TX, Plano, TX, Princeton, TX, Richardson, TX, Roanoke, TX, Rockwall, TX, Rowlett, TX, Sachse, TX, Sherman, TX, Southlake, TX, Terrell, TX, The Colony, TX, Trophy Club, TX, Tyler, TX, University Park, TX, Waco, TX, Waxahachie, TX, Westlake, TX, Wylie, TX. 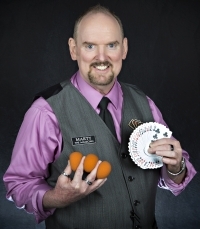 Strolling/Stage Magicians, Marty Westerman is an all around comedy magician and entertainer who performs either his close-up sleight-of-hand strolling magic or a comedy magic show for all types of events; Corporate Events, Grand Openings, Trade Shows, Conventions, Restaurant Promotions, Country Clubs, Cities-Small Town Festivals, Private Parties, Holidays Celebrations, Festivals, Fairs, Kids-Children Birthday Parties, Adult Parties, School Shows, Lock-ins, Proms, Graduations, Library Shows, Blue & Gold, Bar Mitzvah’s, Bat Mitzvah’s, Weddings, Reception, Rehearsal Dinners, Anniversaries, Showers, Social Gatherings, Theme Parties, Church Events and much more. Stage/Strolling Magician, Oklahoma, Oklahoma City, OK, Tulsa, OK, Norman, OK, Nichols Hills, OK, The Village, OK, Edmond, OK, El Reno, OK, Mustang, OK, Bethany, OK, Yukon, OK, Midwest City, OK, Del City, OK, Ponca City, OK, Stillwater, OK, Durant, OK. Strolling/Stage Magicians, Wichita, KS, Marty Westerman is an all around comedy magician and entertainer who performs either his close-up sleight-of-hand strolling magic or a comedy magic show for all types of events; Corporate Events, Grand Openings, Trade Shows, Conventions, Restaurant Promotions, Country Clubs, Cities-Small Town Festivals, Private Parties, Holidays Celebrations, Festivals, Fairs, Kids-Children Birthday Parties, Adult Parties, School Shows, Lock-ins, Proms, Graduations, Library Shows, Blue & Gold, Bar Mitzvah’s, Bat Mitzvah’s, Weddings, Reception, Rehearsal Dinners, Anniversaries, Showers, Social Gatherings, Theme Parties, Church Events and much more.